Try this: Close your eyes. Dig deep into your memory, especially the last month or so. Ask yourself: how many apps have I downloaded onto my smart phone or tablet this month? If you answered one or more, then you are part of the minority. Everyone is talking about apps. Internet marketing companies are always extolling the benefits of apps with convincing details. The requests for apps to be built by businesses are equally endless. But are apps the way to go? Do your consumers really need your app to access your products and services? The fact of the matter is that apps are sort of like kale. People will try to amaze you about the benefits of kale and convince you with details as they relate to your health. But when you go to the grocery store, buy a bushel and cook them up, you realize kale is not for you. There’s nothing good about it – all you get is a bitter mouthful of plant matter. It is there and then that you will realize that although kale is amazing, it is just not for you. Apps work the same way. Any web design or digital marketing blog that you read will tell you that a mobile app is essential to your digital marketing and mobile marketing goals. However, no one knows for sure whether or not the app will be a hit until it is tested out. For all you know the app idea will be a snipe. Many business owners do not have the instinct to tell if an app is a hit or a snipe. They want to ride the wave — even though they do not fully understand it. They see apps as a golden ticket for staying ahead in a marketplace inhabited by tech-obsessed, millennial, digital natives. What they do not know is that most consumers download zero apps per month. The word “app” is short for application. It is a modern term for software that runs through a web browser or offline on your PC, smart phone, tablet or other electronic devices (e.g., smart TVs and smart watches). Apps may or may not require a connection to the internet. There are thousands of apps that can be downloaded through services like the Apple Store or Google Play. Some apps are free, while others must be purchased. There are three types of apps: desktop, mobile and web. Desktop apps are fuller than their mobile equivalents and consist of all the features of a program. The mobile apps, on the other hand, are simpler and reduced versions, depending on the size of the screen. That’s because desktop and web apps are typically built to be used with a mouse and keyboard along with a large screen, but mobile apps are intended to be accessed with a finger or stylus on a much smaller display. Web apps are as feature rich as desktop apps, but they require an internet connection and a web browser program to function. While some web apps are heavy duty and can perform well like mobile or desktop programs, most web apps are lightweight for a reason. That’s because they are meant to be easy to download and to take up less space on the hard drive. There are also hybrid apps, which are a mix between web apps and desktop apps. These are apps that have an offline desktop interface and direct access to hardware and other connected devices, but also an always-on connection to the internet. There are two reasons for this: 1) quick updates and 2) access to internet resources. There are two major criteria that justify investing in an app. You need to meet at least one for the app to have any level of relevance or desirability. It is best to speak to a specialized digital marketing agency to discuss your options. Apps and websites serve different purposes and are not synonymous. If you are building an app to simply duplicate your company’s website and the content on it, the app option is not for you. Consumers who are just discovering your brand and would like to learn more information will not necessarily want your app. They will want to learn more about you first before they decide to download it. If you are building an app to give customers easy access to loyalty and rewards programs as well as exclusive discounts, the option is worth considering. However, you will have to have widespread brand recognition to do that. The only other time in which a company would require an app is if the app is the company’s entire business. Take Uber as the perfect example. Uber’s key function is to connect drivers with passengers and to get the latter to destinations at a fraction of the cost of a traditional taxi. Without the app, Uber would not exist. It makes sense as a mobile app because it takes advantage of two core features of a smart phone: location finder and quick, easy, and secure access. So not only does Uber have a purpose but its purpose is its business. Too often, businesses see disruptors like Snapchat and Uber finding success through apps and try to emulate them. They say to themselves, “Apps are now must-haves! We should get one.” What they fail to realize is that most smart phone users only use 6-10 apps per week. Statistically speaking, theirs is probably not one of them…unless they have widespread brand recognition like Uber and Snapchat. Companies are better off to invest their money and resources in responsive web design. The simple and main reason why responsive website design is more important than app development is: people search for businesses on their mobile browsers, not the App Store. Nowadays over 70% of web traffic is generated through smart phones as opposed to desktops. 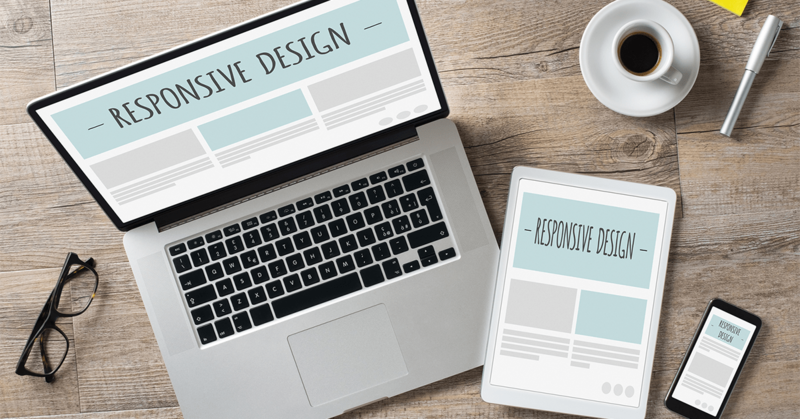 It’s crucial for your website to be mobile responsive. If your website is difficult to navigate and the information on it is difficult to view, consumers will leave and take their business to a competitor website that is able to answer their questions. More often than not, this means a loss of a potential customer. iRISEmedia is a digital marketing agency that focuses on helping clients in Canada, the U.S. and globally with digital marketing services consisting of website design, app development, social media management, online reputation management and online branding. Our team helps clients manage and grow their online presence and branding to increase qualified web traffic and online leads. For your business needs or inquiries, please contact us today at 1-855-493-3622 or visit us on our website.